Midtown is quite walkable, is very bikeable and has excellent transit, according to Walk Score's rating system. So what does the low-end pricing on a rental in Midtown look like these days--and what might you get for the price? 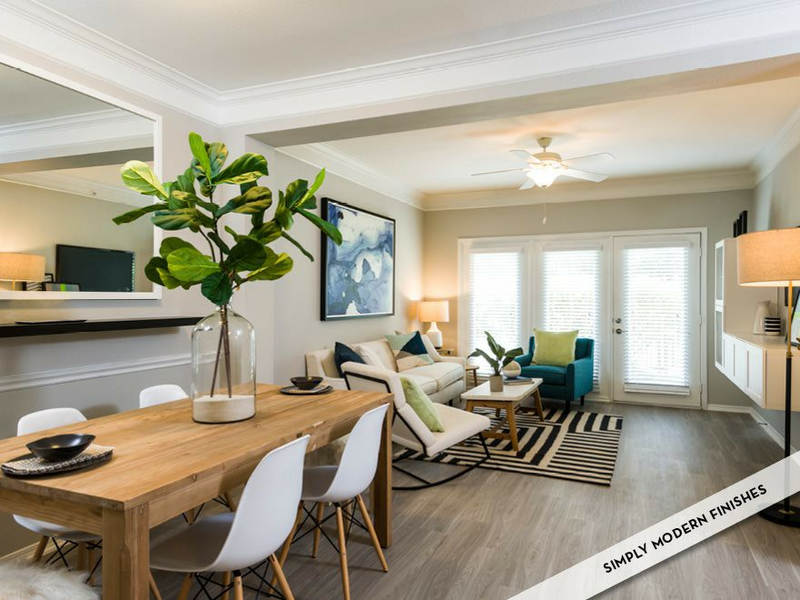 We took a look at local listings for studios and one-bedroom apartments in Midtown via rental site Zumper to find out what budget-minded apartment seekers can expect to find in this Houston neighborhood. Listed at $875/month, this one-bedroom, one-bathroom , located at 3920 Fannin St., is 32.1 percent less than the $1,290/month median rent for a one bedroom in Midtown. When it comes to building amenities, expect assigned parking and on-site laundry. In the unit, the listing promises high ceilings, hardwood flooring, air conditioning and a ceiling fan. Neither cats nor dogs are welcome. The rental doesn't require a leasing fee. Then there's this 500-square-foot apartment at Main St., listed at $1,140/month. In the unit, expect both air conditioning and central heating, a dishwasher, in-unit laundry, concrete flooring, a ceiling fan, wooden cabinetry and a breakfast bar. The building offers garage parking, a swimming pool, a fitness center, a business center, on-site management and a lounge. Good news for animal lovers: both dogs and cats are welcome here. Listed at $1,198/month, this one-bedroom, one-bathroom apartment is located at 2350 Bagby St. Amenities offered in the building include garage parking, a swimming pool, concierge service, outdoor space, on-site laundry, a door person and a lounge. In the unit, which comes furnished, you'll find high ceilings, both air conditioning and central heating, hardwood flooring, a balcony, a fireplace, a walk-in closet and a dishwasher. Pet lovers are in luck: cats and dogs are welcome. This one-bedroom, one-bathroom apartment, situated at 2727 Brazos St., is listed for $1,232/month for its 690 square feet of space. And finally, there's this 700-square-foot one-bedroom, one-bathroom apartment at 2401 Crawford St. It's being listed for $1,289/month. In the unit, you're promised air conditioning, a balcony, a dishwasher, hardwood flooring, wooden cabinetry, stainless steel appliances, in-unit laundry and high ceilings. When it comes to building amenities, expect assigned parking, a swimming pool, outdoor space and an elevator. If you've got a pet, you'll be happy to learn that cats and dogs are welcome. Future tenants needn't worry about a leasing fee.